On 10 October 2017 (4:00 PM CEST), the GGKP and the Partnership for Action on Green Economy (PAGE) held a webinar focused on the Integrated Green Economy Modelling (IGEM) Framework, including country experience with green economy modelling in Mexico and Peru. The framework includes guidelines on how to green three existing modelling techniques for green economy policy assessments, and a methodology for integrating the strengths of a Computable General Equilibrium (CGE) Model with the social and environmental modules of a Systems Dynamic (SD) Model, while building on an input-output and social accounting matrix (IO-SAM) model. 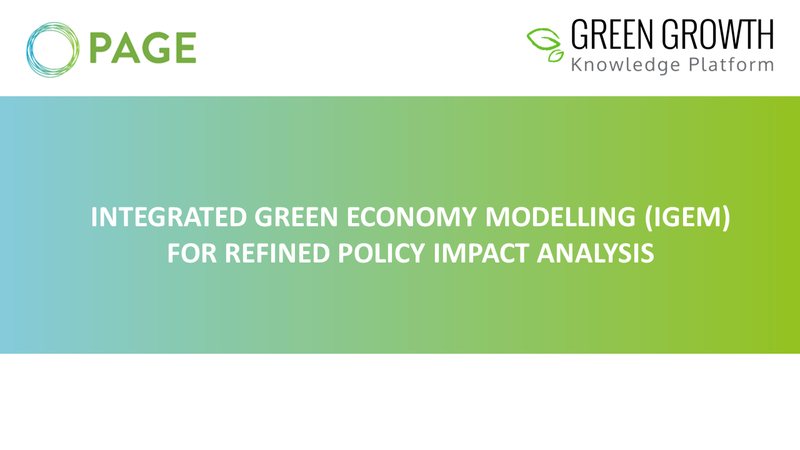 The result is a single modelling tool that can deliver refined green economy policy impact analysis.